The founders of this group are known as producers and backing musicians for some of the biggest names in Gospel music these days. But God has given them their own songs and music to share and it is pretty impressive. 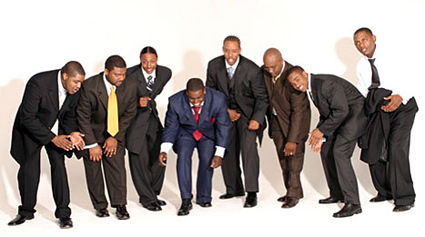 The group consists of front-man and primary lead vocalist, Teddy Campbell; bass guitarist and vocalist, Warryn Campbell; vocalist and founder, Nisan Stewart; John “Jubu” Smith on guitar and vocals; vocalist Gerald Haddon; Charlie Bereal, also on guitar; Craig Brockman on organ, and drummer Eric Seats. The members, five of whom are the sons of pastors, first came together formally as The Soul Seekers at Nisan’s invitation one night in September, 2000, when he suggested they put together an impromptu tribute to the music of the classic Gospel quartets of bygone decades and perform it at L.A.’s Greater Emmanuel Temple, pastored by his father, Bishop Carl Stewart. Over the next four years that sense of commitment and excitement steadily grew to where August of 2004 found the Soul Seekers back at Greater Emmanuel Temple before an overflow crowd of 3500. 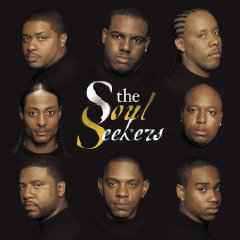 Performing what had become a repertoire of original material in a style very reverential to tradition, but yet with a distinct signature of its own, The Soul Seekers recorded live their first self-titled album released on GospoCentric Records in May 2005. This record retains the essence of the gritty, gutbucket gospel quartet sound, while adding a higher level of musicianship. 'I'd rather have Jesus' is a hot number blending hip-hop lyricism and rock music with a quartet sound to create a headbopping, handclapping praise party. A poigant message is delivered to us on 'What would you do', calling backsliders to repentance. Teddy Campbell and Cedric Haddon show they've done their homework, laying down vocals that evoke memories of the Mighty Clouds, the Blind Boys, and the Soul Stirrers. And while John 'Jubu' Smith lays down some seriously sweet guitar licks throughout, he stops along the way to go toe-to-toe vocally with guest artist Harvey Watkins Jr. of the legendary Canton Spirituals on 'My God will make a way'. The music arrangements are stellar, contemporary and the songs are uplifting. The instrumental solos are killer, but what else do you expect from such obviously talented musicians? If you don't know about them you better ask somebody!